Behind MASCHINE BRENNT you will find Joacim Thenander, a guy with a long experience in making computer-based music. In the late '80s he was a member of industrial synth band Systema The Affliction and later he was the driving force behind the trash synth/hip hop crossover duo Cultivated Bimbo. In the late '90s he released more mainstream dance music and remixes, mainly house and techno stuff but also a few DnB tracks. MASCHINE BRENNT was born 1991 as a project on the side of Cultivated Bimbo. The following year, MASCHINE BRENNT made only three public performances and together with Joacim was a few more members on stage to add some extra spice to the almost theatrical performances. 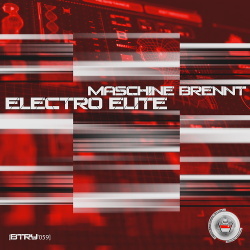 MASCHINE BRENNT made just a handful more tracks during the '90s and after the turn of the millenium Joacim concentraded more on his other projects focusing on techno/house again. Today Joacim is releasing tracks using many different names, such as Mobhead, Gorgl, Killa Dawgs, Joey Lucas, Syntronik and Microlab. But the main focus is once again MASCHINE BRENNT.